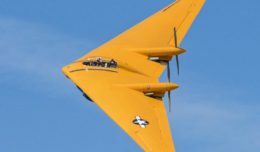 Forty-five unmanned aerial vehicles and drones fell out of the sky during a U.S. Army exercise after Raytheon’s advanced high-power microwave and laser dune buggy engaged and destroyed them. 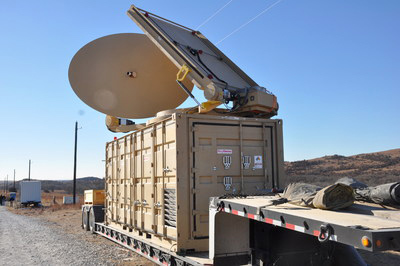 These common threats were knocked down during a Maneuver Fires Integrated Experiment at the U.S. Army Fires Center of Excellence, Fort Sill, Okla. The event, known as MFIX, brought military and industry leaders together to demonstrate ways to bridge the Army’s capability gaps in long-range fires and maneuver short-range air defense. * Raytheon’s high-power microwave system engaged multiple UAV swarms, downing 33 drones, two and three at a time. * Raytheon’s high energy laser, or HEL, system identified, tracked, engaged and killed 12 airborne, maneuvering Class I and II UAVs, and destroyed six stationary mortar projectiles.